Doing business right involves integrity at many levels, with commitments to ethical principles as well as commitments to shareholders. In the current economic climate, balancing “improving our world” and “doing business right” can seem a tad challenging. After all, the state of the global economy is not helping. The Brexit vote may not be the last nail on globalization’s coffin, but the pallbearers have been put on high alert, especially given the xenophobic rhetoric of the presidential campaign across the Atlantic. The world’s two largest economies, China and the US are already at loggerheads on the disputes ranging from trade to issues of territorial encroachment by China. The EU and Japanese economies are struggling. Multiple crises — political, security and humanitarian — stretch across the globe. Even the formerly dynamic emerging markets are in a state of slowdown and crisis – many, such as Brazil, Russia and South Africa are in recession, while Turkey has just experienced a failed coup. Therefore, it should not be a surprise that the new SDG Index and Dashboard show that all countries face major challenges in achieving the SDGs by 2030. Even the top-ranked country, Sweden, scores an alarming “red” on several goals. The region I am most concerned about is Africa. While the continent enjoyed a short-lived “Africa rising” moment, it now struggles with slowing growth because of prospects for drought and dropping demand for its commodities. Capital Economics predicts growth of 2.9% for sub-Saharan Africa– a 17-year low for the region. A key indicator of worry is when multinational companies, with deep experience in the region, head for the exits: Nestlé is cutting 15% of its workforce across twenty-one African countries, while Barclays is out altogether. From the standpoint of the 2030 Agenda, Nestle ’s exit is particularly troublesome for many reasons. First, without demonstrable progress in Africa, the SDGs will fail. The retreat of a formidable player, such as Nestlé, would cause us to question the realism of the 2030 Agenda as conceived. The second reason for worry stems from the business rationale offered by the company. “We thought this would be the next Asia, but we have realised the middle class here in the region is extremely small and it is not really growing,” according to Cornel Krummenacher , chief executive for Nestlé’s equatorial Africa region. This suggests that the carrot that entices well-resourced businesses to invest in the developing world is, in reality, much shorter than previously anticipated. Nestlé’s actions would, naturally, be a signal to others. The third reason to be concerned is that Nestlé is a standard-bearer among companies with a commitment to sustainable development. In its document, “The Nestlé Commitment to Africa,” the company highlights impressive examples of the steps it has taken to deliver against each of the Millennium Development Goals. 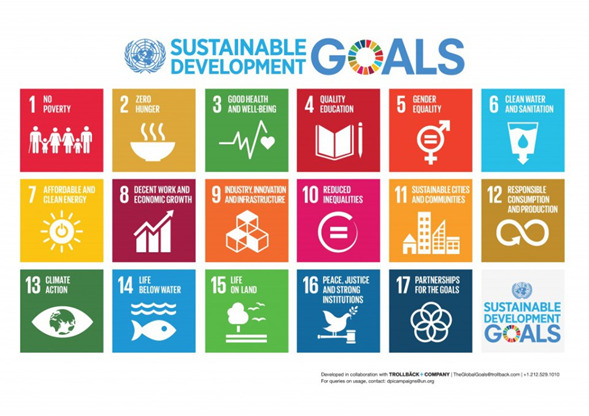 In the case of the SDGs, Nestlé has made 38 public commitments . Given its embedded experience and investment in an ecosystem for promoting sustainable development, Nestle’s drawdown is a loss. Should we, therefore, assume that we are destined to fall behind on the 2030 Agenda and re-calibrate expectations? Not so fast. I have made the point elsewhere in an article, “Finding Competitive Advantage in Adversity” in the Harvard Business Review, that adversity often produces the best conditions for unlocking new opportunities, by tapping resources that may elude us during the good times. Now consider Gabon, a country that has traditionally relied on its oil reserves for 85% of its exports and about 50% of revenue. The depressed price of oil and resulting collapse of oil revenues, presented a potential crisis for the government, with GDP growth dropping to about 3.2% this year, from 4% in 2015, according to the IMF. This crisis was also an opportunity to think differently about the Gabonese economy and break out of a “resource curse”. The country can pivot by re-directing the unemployed resources towards new uses. Gabon’s pathway to sustainable development could be through diversification by growing cash crops, such as palm oil and rubber; specifically, the government’s plan was to boost agriculture’s share of the economy from 5% to 20% by 2020. Towards this end, Olam began working with the Gabonese government in a public-private partnership: the government of Gabon provides land, finance and logistics infrastructure for developing the smallholder plantations, while Olam lends expertise in palm plantation development and establishing rural investment models to develop and manage the plantations. Parcels of land are identified and allocated to Gabonese citizen cooperatives, whose members undergo plantation management training. Olam is also investing in the training: cocoa farming practices in Cote d’Ivoire, training in operating bulldozers in Morocco and modern farming techniques at palm-oil plantations in Malaysia. No doubt, the global economy is going through a period of several overlapping challenges. In some parts of the world, such as sub-Saharan Africa, these may seem like the worst of times – at least in the last 17 years. However, with far-sighted leadership and some imagination, the worst of times may well turn out to be the best of times.